Hundreds of shamans will share their knowledge, experience, talent and rituals with others. Various culture, tradition and rituals will be performed during festival. 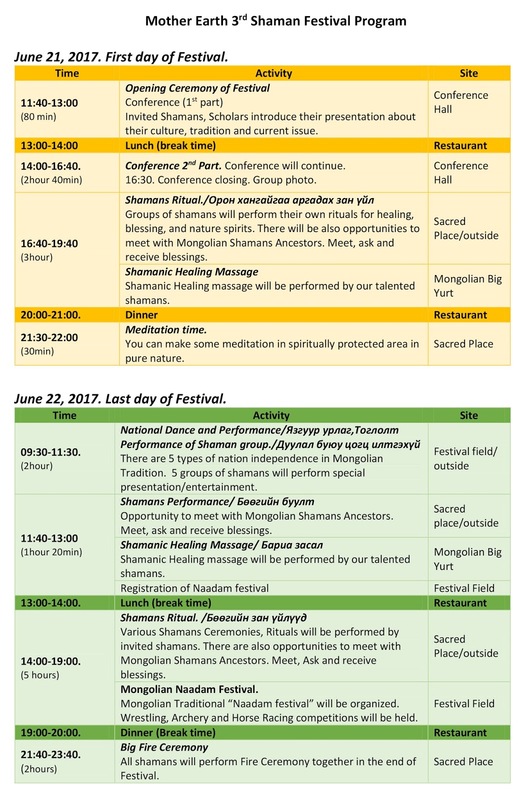 This festival will be opportunity to learn broad knowledge from various tradition, get shamanic healings, participate in various ceremonies, watch dance and music performance for all participants. Here is the link to download Mother Earth Shaman Festival 2017 Program.